Established in June 1983, Bank Islam Malaysia Berhad is the first to introduce Shariah-compliant banking products to the Malaysian public. As the nation's pioneering Islamic bank, it is responsible in laying the foundation for the the remarkable growth of Islamic economy in Malaysia. It has also advanced Islamic banking system to rival that of its conventional banking counterpart and be widely accepted by the public. Driven by innovation, Bank Islam's wealth of banking products is complemented by its end-to-end financial solutions that fulfill the evolving needs of its customers. 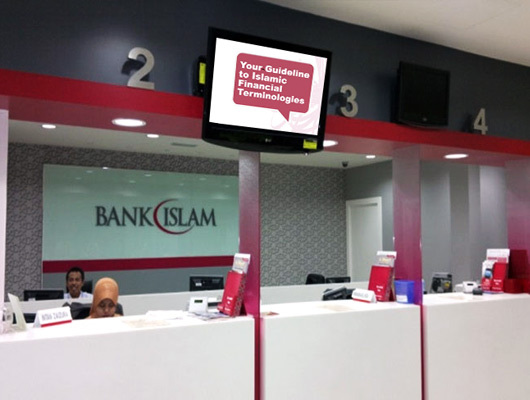 Forging its reputation with focus on pure Shariah-compliant solutions, Bank Islam is well regarded by the industry as the source of Shariah reference. This reputation will stand Bank Islam in good stead as it continues to offer innovative products and fulfill its vision to be a global leader of Islamic banking. Commencing operation in 1985, Syarikat Takaful Malaysia Berhad became the nation's first Islamic insurance provider.Its establishment was driven by the government's initiative that identified a sizeable market for potential customers to save, invest and earn profits based on the principle of al-Mudharabah. Takaful Malaysia is now the leading takaful company in the market with standout products on offer. The company's continuous progress is underpinned by its commitment to excellent customers experience, by innovating products that meet their needs and delivering quality services that fulfill their expectations. In continuing to enhance its infrastructure and operations, in addition to expanding its network. Takaful Malaysia is building on its brand promise to uphold its position as the market leader. BIMB Securities Sdn. Bhd. is founded in 1994, and it quickly established itself as the first full-fledged Shariah-compliant stocbroking firm in Malaysia. Opening its services to all customers, BIMB Holdings is also the only Shariah-compliant participating organisation of Bursa Malaysia, principally in conducting dealing activities in securities on Bursa as well as performing other permitted business activities. BIMB Securities provides an avenue for their customers to invest in shares of listed companies that only conduct Shariah-compliant business activities based on the List of Shariah-Compliant Securities, which is produced by the Shariah Advisory Council of the Securities Commission of Malaysia. Find more about BIMB Securities here. Meet our directors and senior management team, who lead our more than 5000 staff across the country. Built on the principles of Shariah, our diverse Islamic funds provide the investment platform that meets the differing requirements of investors. Our Ar-Rahnu micro credit instrument provides pawn-broking facility for short-term credit that is completely free from any riba and gharar element.